The villages of Gstaad, Saanen, Schonried and Saanenmoser make up on of Switzerland’s premier ski and summer destinations. There is something for everyone especially those who may be blind or visually impaired, have autism, cerebral palsy or Down’s syndrome. It is a great year-round destination and on the Swiss Tour Route. Also suitable for a wheelchair accessible ski/summer holiday, also works well for the more independent paraplegic skier, amputee or other physical or sensory health issue who wants to ski off-piste or do ski touring. This is a taster of how Gstaad Saanenland can help provide you with a memorable holiday and ski experience; building self-confidence, learning new skills and offering a place for rehabilitation, rejuvenation and relaxation. Not forgetting the amazing activities available during the summer season! Skiing, snowboarding, cross-country skiing, ski touring or even heli-skiing for anyone affected by life-changing, life-challenging, special needs or similar conditions (physical, cognitive, degenerative, genetic, sensory, congenital, audio, trauma, neurological or mental) is possible here in the Gstaad Saanenland but will, of course, depend on your specific needs and requirements. Ski 2 Freedom is working in close partnership with a number of ski resorts in the Bernese Oberland - in fact it was in Gstaad and neighbouring Château-d'Oex that the Foundation really had its beginnings! 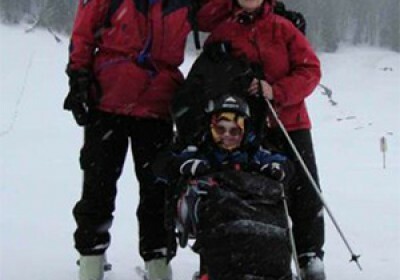 The region has some amazing skiing for people with a disability and special need. 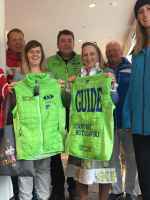 Gstaad Saanenland has been working with blind and partially sighted skiers for over 35 years. British soldiers wounded in World War II came here to recuperate and they also skied, many were amputees and blind. The region of Gstaad offers a wide range of leisure activities for everyone. A number of qualified helpers, specialist hotels and the topography of the area ensure that any holiday here will be a fantastic experience. If you are a wheelchair user or have limited mobility then what better way to enjoy many of the fabulous ski slopes but by being guided around in a sit-ski. There are two types of equipment – the Tessier dual-ski and Tessier Tandemski. Both offer flexibility to join family and friends on the mountain. Which one you use will be determined as to your physical and/or health condition and after discussion with the ski school. March 2009 saw the Swiss Disabled Alpine Ski Championships take place in Schonried - a fantastic event organised by Plusport in close co-operation with Schonried Snowsports and Gstaad Mountain Rides. We helped start a handiski project in Gstaad Saanenland and having been working with the ski schools and lift operators to ensure that more people become aware of the fabulous opportunities and activities there are in the region. If you would like to read more about our involvement please click here - all our activities within the Gstaad Saanenland can be found there. Next winter will see Ski 2 Freedom visiting further resorts within the Bernese Oberland - all of whom have a great interest in promoting their ski school and resort as a place where people, young and old can come and enjoy the mountains in winter! Not all these resorts have ski equipment such as the mono-ski, dual-ski or tandem-ski but have enthusiastic instructors, some of whom can teach other disciplines. "The purpose of the International Ski 2 Freedom Foundation is to give people with physical limitations or special needs access to snow sports, winter and summer activities in the Alps. There is a good relationship between our foundation and the destination of Gstaad as Gstaad offers many different services for this target group." "We are convinced that people in these special circumstances gain self-confidence and stability through sporting and non-sporting activities and are given an impulse for a better quality of life. This also has a positive impact on their environment. And we want to promote this effect," says Catherine Cosby, founder and director of Ski 2 Freedom, the motivation for her commitment. If you, a friend or family member have any of the following then Gstaad Saanenland might work brilliantly for your ski or summer holiday. This is by no means an exhaustive list (it would be impossible to include every condition) but many have similar or common factors. As often someone may have a condition that we have not yet come across please do ask us if you are interested in the resort and we can try to help. Gstaad Saanenland has a great selection of hotels, apartments and chalets suitable for all visitors. Accessible accommodation in Gstaad Saanenland is also available for wheelchair users (dependent on type of wheelchair) and those with limited mobility. 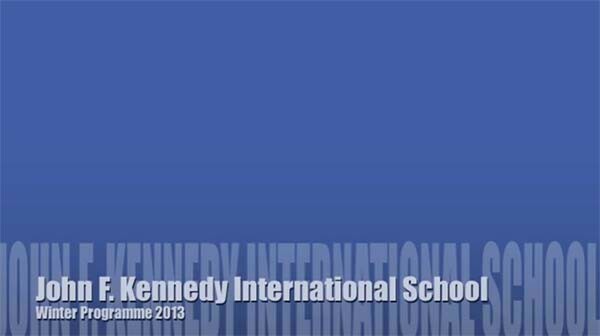 To request further in-depth and comprehensive information on Hotel Kernen contact us. To request further in-depth and comprehensive information on Arc 'n Ciel contact us. To request further in-depth and comprehensive information on The Palace Hotel contact us. For more information on mountain activities in Gstaad Saanenland please contact us. Suitable for kids at the age of 3 and adults who want to learn a snow sport or improve their skills. The ski school is happy to welcome everyone including those with Down’s Syndrome, Learning Disabilities, Physical needs and those who are wheelchair users for the sit-ski. Our snow-sports school has specially formed ski-instructors to instruct or guide our guests using specialist ski equipment. Our snowsports-school has ski-instructors for visually impaired and blind guests. Those specially certificated ski-instructors make an unforgettable event in the natural surrounding possible. For blind or visually impaired visitors then there is the opportunity to learn or progress your snow-boarding skills. Privat are private instructors and guides, some of whom are able to teach people with Down’s Syndrome, special needs and some physical challenges. They do not have specialist sit-ski equipment. Only available with an instructor/guide from Gstaad Snowsports. It is possible to hire a sit-ski from Active Motion via Reini Linder reini.linder@freesurf.ch but you will have to collect it from Interlaken. To get a better idea and understanding of the ski resort of Gstaad Saanenland and what else they can offer you for your holiday, we suggest you look up their website as every Tourist Office offers a fascinating and exciting insight into what they and the surrounding area can offer visitors. In addition many have a dedicated website or page for those who are in need of assistance, disabled, with young children and babies and those of us just getting on a bit in life! Many ski resorts offer reduced or discounted lift passes for someone with a disability or in need of assistance. For Gstaad Saanenland the following apply. However we suggest you also contact the Lift Pass Office for further information as prices and conditions can change. It is very important that you contact Gstaad Mountain Rides before you arrive in the ski area to ascertain which lifts are accessible and to make your self known to the operation. The following are delighted to share their experiences with you on how Gstaad Saanenland was able to assist and empower them to have a life enhancing winter and ski holiday. If you would like to speak directly with one of our beneficiaries please contact us so we can put you in touch – sometimes sharing a similar condition can be most reassuring especially for first timers! Daniel Wallhead was 9 years old when he and his parents first came to Gstaad and nothing, it seems, gets in the way of skiing with Down's Syndrome! Download and read Ben's story. All the news, feedback articles and press releases illustrate how Gstaad Saanenland helps to enhance people’s lives. Also, in many cases, showing how Ski 2 Freedom works in close association with Gstaad Saanenland to help raise awareness of the empowering benefits of mountain activities such as skiing and promoting accessible, social and inclusive tourism. If on reading our Gstaad Saanenland page, you have your own experiences and feedback of the resort (winter or summer) that you would like to share or feel would be encouraging to others, please do not hesitate to send them to us for inclusion on both our website and social media – photos and film clips also welcome.